Fultondale, AL- New Breed Archery, innovators of industry-leading archery equipment, is excited to announce the expansion of their Professional Hunting Staff with the addition of bowhunting and industry veteran, R.L. Foster. A fellow Alabamian, R.L. Foster began his first outfitting business in 1993. For the past 20 years, he has established outfitting businesses across North America. Additionally, his work has been featured in multiple industry publications that include Texas Trophy Hunters, Pope & Young magazine and others. Most recently R.L. founded Bow & Arrow Adventures, an outfitting business that represents roughly 50 of the top bowhunting outfitters in North America. A true outdoorsman, bowhunter and trustworthy industry professional, R.L. Foster will be a model hunting ambassador for New Breed Archery. Join the #NEWBREEDNATION community on Facebook, Instagram and Twitter to share your in the field moments with us! For more information on New Breed Archery and their complete line of products, please contact New Breed Archery at (888) 363-3545 or visit www.newbreedarchery.com. New Breed Archery, manufacturers of top-notch archery equipment for bowhunters and competitive archers, is setting the bar for excellence and innovation in the archery industry. There are no assembly lines here; each New Breed Archery product is built one at a time. Offering custom handcrafted bows using premium billet aluminum, titanium bolts and screws and the highest quality strings, these are bows that any archery enthusiast would be proud to own. Fultondale, AL- New Breed Archery, innovators of industry-leading archery equipment, is pleased to announce they are now shipping their highly anticipated BLADE to the New Breed Nation! Launched in January, the BLADE has been nothing short of groundbreaking in the archery community. Featuring a smooth draw cycle, rock-solid back wall and unprecedented forgiveness, the BLADE has received heavy praise from discriminating hunters and shooters alike. With a distinctive look, the BLADE sets itself apart from the competition with its cutting edge gusset brace riser, titanium bolt kit with stainless steel hardware, two-piece extended pocket design and adjustable cable guard. Together these fundamental features provide the foundation for one lethal bow! 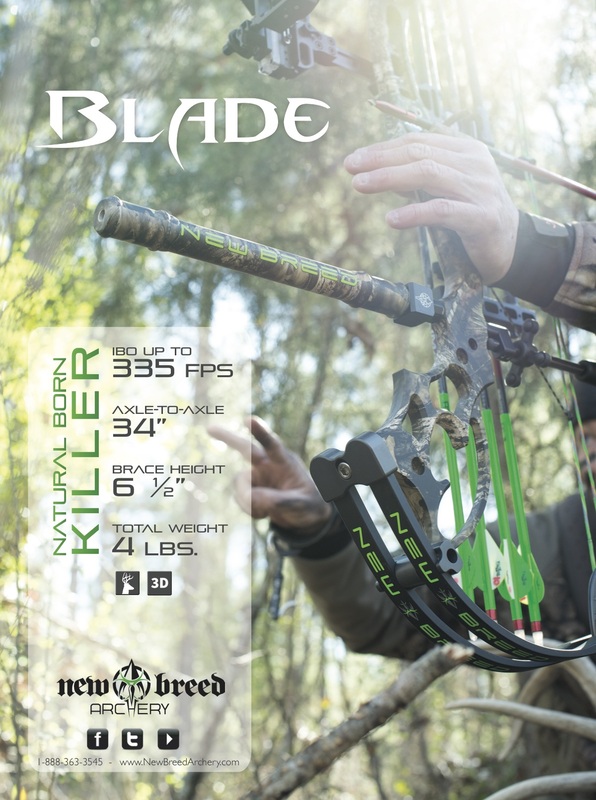 For more information on the BLADE and complete line of New Breed Archery Products, contact New Breed Archery at (888) 363-3545 or visit www.newbreedarchery.com. Join the #NEWBREEDNATION on Facebook and Instagram to share your in the field moments with us! New Breed Archery, manufacturers of top-notch archery equipment for bow hunters and competitive archers, is setting the bar for excellence and innovation in the archery industry. There are no assembly lines here; each New Breed Archery product is built one at a time. Offering custom handcrafted bows using premium billet aluminum, titanium bolts and screws and the highest quality strings, these are bows that any archery enthusiast would be proud to own. To learn more about the complete array of Brilliant Aiming Solutions™ for the hunting, shooting, military and law enforcement markets, contact Trijicon®, Inc. at (248) 960-7700 or visit www.trijicon.com. Wixom, MI—The Trijicon® AccuPoint® Series has firmly established itself as a Brilliant Aiming Solution™ for hunters and competitive shooters alike. AccuPoint riflescope fans have long desired enhanced versatility in low to medium power ranges. Satisfying consumer demand, Trijicon is now launching the 1-6×24 and 2.5-12.5×42 AccuPoint models. The new AccuPoint models feature two reticle offerings never before seen in the established line of riflescopes. The 1-6×24 AccuPoint offers an MOA-Dot and Circle Cross reticle option for enhanced accuracy and speed when it counts most. The 2.5-12.5×42 features the MOA-Dot, which allows you to know your holdovers for a personal BDC. The 1-6×24 models feature all new and existing AccuPoint reticles, while the 2.5-12.5×42 offers the MOA-Dot, Triangle post, Duplex and MIL-Dot crosshair reticles. 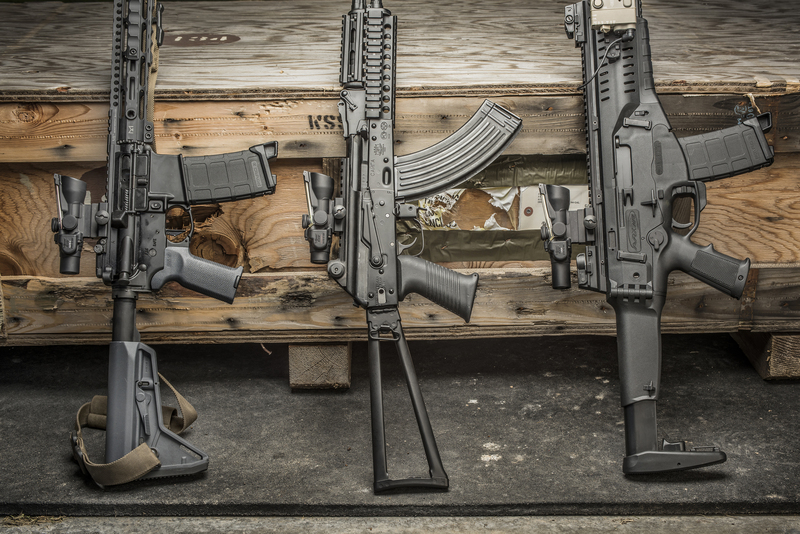 Trijicon’s commitment to innovation and perfection remains steadfast. Regardless of the application, AccuPoint users can expect superior performance no matter the situation. The new 1-6×24 and 2.5-12.5×42 AccuPoint models are welcomed additions to this trusted and supreme line of riflescopes. For further information and Hi-Res images, please contact Eddie Stevenson at eddie@driftwoodmediacom.com or visit www.trijicon.com. All Trijicon AccuPoint riflescopes operate battery free— ensuring absolute illumination during critical moments in the field. They also feature Trijicon’s Manual Brightness Adjustment Override, which allows you to control the light output of the fiber-optics during daylight. AccuPoint riflescopes include technological advancements such as multi-layer coated lenses for superior light transmission with no distortion, quick-focus eyepiece, generous eye relief, and precise windage and elevation adjustments. For more information on Trijicon’s AccuPoint Series, and the complete array of Brilliant Aiming Solutions™ for the hunting, shooting, military and law enforcement markets, contact Trijicon, Inc.® at (248) 960-7700 or visit www.trijicon.com. Wixom, MI—The compact Trijicon® ACOG® series is loaded with crucial features for operators needing a durable, lightweight, small, magnified optic. Adding to this line, Trijicon is introducing the GEN2 Compact ACOG. Retaining the same legendary features as traditional models, the GEN2 ACOG offers state-of-the-art enhancements; proving the greatest performance can come in the smallest of packages.